Located in the heart of Jerusalem with magnificent views of the Old City, the Tower of David, Jaffa Gate, and alongside Jerusalem's new shopping and entertainment center, the Alrov Mamilla Avenue. The Mamilla Hotel brings world-class superior design and lifestyle hospitality to Jerusalem and Israel. Guests and visitors will enjoy exceptional accommodations together with exclusive dining and bar venues, a Holistic Well-being spa and gym, as well as events and banqueting spaces, that blend sophistication and modern international style with the unique and rich culture of Jerusalem. Mamilla Hotel offers 194 luxurious and spacious guest rooms of various sizes: Studio - a beautiful designed rooms for couples. * Executive guests rooms with a spacious bedroom and a comfortable sitting or dining area. 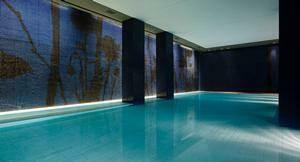 * Mamilla Suites with a large bedroom and living-room. * Residence Suites with spacious living-room and bed-room. * A Presidential Suite with spacious bedroom, very large living-room, kitchen and dining area. 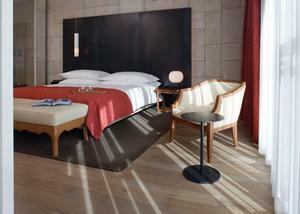 All the guests rooms and suites in Mamilla Jerusalem hotel are designed by Piero Lissoni, a world famous architect. Mamilla Hotel is located in the heart of the City , a few minutes walk from the Old City, Jaffa Gate ,the Tower of David and alongside Alrov Mamilla Avenue, Jerusalem’s new shopping and entertainment center. "The service has been excellent and the atmosphere is like no other hotel I've stayed at. I lov..."